"The wind screamed like a banshee. I saw water slosh up through the open centerboard case. I could feel an icy chill in my heart. We were turning over, slowly, oh so slowly. I braced myself. We were not coming back up." Read an exciting excerpt below, "The Day All Hell Broke Loose." Roaring out of nowhere, a derecho with downbursts estimated at up to 134 mph. tore onto Lake Superior to overtake a lone sailor and his wooden boat. Caught in a wall of wind, spinning out of control, author Marlin Bree fought to survive "the Storm of the Century" -- Superior's version of The Perfect Storm. Join Marlin Bree in the cockpit of his small sailboat as the monster storm closes in on him and he fights to save himself and his small sailboat. Persistence braves high winds, bucks monster waves and gets knocked down to her beam ends repeatedly. Shaken but determined, the author resumes his voyage in his 20-foot home-built sailboat into the rugged island archepelego of the northernmost arc of Lake Superior. Bree's remarkable adventures range geographically from the old fur fort in Grand Portage, Minn., across the U.S. and Canadian border, and into the northernmost arc of Superior, a wilderness island archipelago that would become the world's largest freshwater conservation area. Bree's voyage ends happily in the picturesque Slate Islands, off Ontario's rugged coast. Interspered with the author's own adventures are the stories of other boater's experiences in the July 4, 1999, storm as well as tales of heroism and survival of boaters in other Superior heavy weather. This includes the remarkable tale of the destruction of the excursion boat, the Grampa Woo off Isle Royale (and not far from where the author sailed) and the incredible reconstruction of the survival of a man deserted on a storm-lashed, ice-coated life raft. Here are more remarkable stories of dangerous storms, shipwrecks, seafaring and an island of silver on the notorious waters of the world's largest freswater lake, told by a master sea storyteller. Wake of the Green Storm is the inspiring true tale of seafaring in a last frontier of wind and water. Wake of the Green Storm: A survivor's tale. ISBN 1-892147-04-1 / quality trade paperback / 48 drawings, illustrations & charts / 6 x 9 size, four color laminated cover / 224 pages. $17.99 U.S. 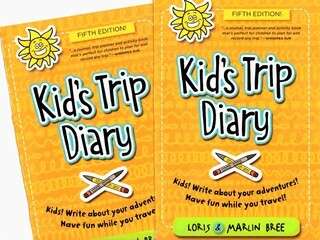 Available at internet booksellers and nautical booksellers. Also available as an e-book ($6.99) and as a downloadable audio book. meets the infamous "Green Storm"
A cold mass of thick, gray fog hung ominously across the Sawtooth Mountains. But here in the small Fiord-like bay, the waters were clear blue down to their icy depths. Peeking out of the clouds was a burning yellow orb. The sun. I was at the helm of my 20-foot sailboat, Persistence, with my 5 h.p. Nissan outboard running easily at about a third throttle, on the beginning of a solo adventure on Lake Superior. I planned to sail through what would someday be the world's largest freshwater conservation area, along Superior's Canadian north shore, an area of nearly 11,000 square kilometers stretching from Sleeping Giant Mountain to the surprising Slate Islands. I felt reasonably confident. Early on, I had switched my vhf radio to NOAA weather, which assured me that today, July 4, 1999, would be the hottest day of the year so far, and that there would be the possibilities of thunderstorms, but only later in the day. So far, so good. I had tapped my on-board barometer, noticing the needle rise just a twitch to indicate fair weather. A rising barometer. Double good. Out on Grand Portage Bay, a small island was still wrapped in the cotton-candy gray stuff; to the north of the bay, where a historic 18th century fort should be thrusting its spiked wooden stockades skyward, was a wreath of fog. I had walked over a plank past a rusting barge and into the marina office. "Oh, the fog'll burn off," a local boater advised me. "I'd go." So I had shoved off, my boat and I seemingly held aloft on the transparent, but glacial inland sea, ducking in and out of the spectral fog, running down my pre-set GPS waypoints. In the fluky, light air, I was running my outboard, with my sails uncovered, ready to hoist. Entering the chill fog banks was like entering a tomb: cold, damp, chilling, despite my layers of wool socks, thermal underwear and polar fleece. It was hard to remember that this was the 4th of July – and would soon be hot. Though I expected an easy run across the Canadian border, to an island guarding the mouth of Thunder Bay, my boat was prepared for the open waters of Superior. I had closed all hatches and took pains to be certain my boat's weight was centered. For that, I had taken my sleeping bag, duffle bags of gear, food, provisions, and anything else I could get out of the boat's ends, and lashed them alongside the centerboard trunk. I had carefully gone over the boat to be certain that there were no loose lines, and, that the rigging was taut. I had carefully buckled into my safety harness, and, laid out my GPS, chart, and a cruising guide to the area. My VHF radio was tuned to Channel 16. Right now I was in range of Grand Portage, and its marina, but as soon as I crossed the border, I'd be in range of the Canadian Coast Guard stationed at Thunder Bay, Ontario. When I emerged from the fog bank, my heavy weather precautions seemed unnecessary. The sun was high and bright. Below me, clear waters sparkled down to glacier-carved blue depths, and, off to my port were beautiful little islands, lifting out of the waterline, green with small trees. I began to enjoy myself. Soon I was across the U.S. / Canada border and I began to rue my layers of fleece and thermal gear. Perspiration lined my brow; my glasses began to wear a little haze of overheating. Lifting my long-billed baseball cap, I brushed my brow with the back of my gloved hand and looked up at the shoreline's high crests. That layer of fog hadn't burned off. In fact, it looked denser, heavier – and slightly sinister. My VHF radio was crackly, but its speaker blared an unmistakable klaxon. It was Thunder Bay's Coast Guard's storm warning. I looked around: I was out on the open waters, an inhospitable shoreline to port, and lot of reefs in between. Ahead lay a small island, with a tiny cove – but that was twenty minutes away. An eternity. I cranked up the engine to three-quarters power. Over the outboard's racket, I heard the dread words, "Mayday, Mayday!" Somewhere a sailboat had overturned. Three people were in the water. I looked around. There was no place to run to, no place to hide, and no one to help me. I was alone. to browse inside Amazon's Look Inside the Book feature. 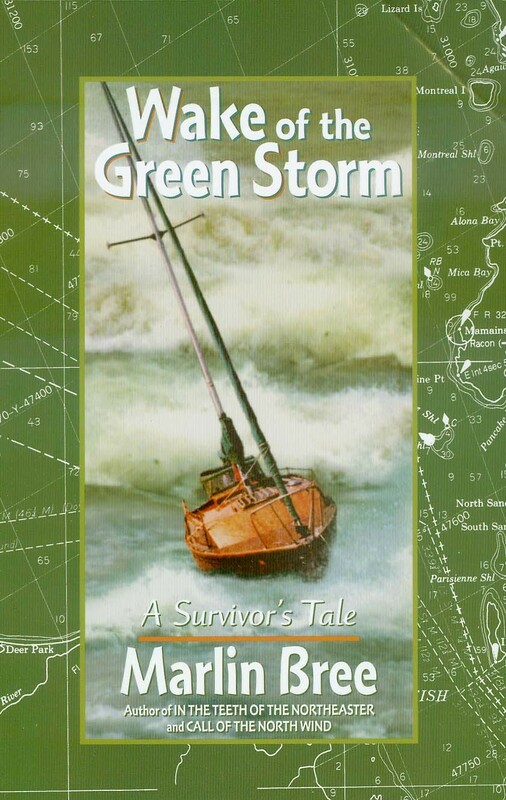 With incredible fury, the Green Storm catches a lone sailboat by surprise. The fight is on for survival. "Follow along with Marlin Bree as he cruises the Great Lakes' most remote shoreline, reliving its history, exploring its lore and pondering its mysteries. All this, a personal experience of Lake Superior legends by a man who, by chasing them, became a legend himself." "In addition to his own near-fatal cruise, Mr. Bree gives the most detailed account I've read of the dramatic sinking of the Grampa Woo and relates other tales of shipwrecks yet more distant in time like the rather amusing wreck of the expensive yacht Guinila near Rossport Harbor in 1911, and, the tragic sinking of the Daniel J. Morrell on Lake Huron in 1966 (The gripping story of the Morrell's sole survivor, Denis Hale, covered with ice and adrift for several cold November days in a small boat, will leave you with a new respect for the men and women who crew the big ore boats). And besides the wrecks, there's the story of the islands themselves: Silver Islet, for example, a tiny island artificially enlarged to ten times its original size that yielded a million ounces of silver between 1872 and 1874; and Talbot Island, nicknamed the Island of Doom for reasons you can read about yourself, because this book is a must for any Lake Lover's Library."